Anyone else besides me collect these? It was there that I learned of the many variations. These variations consist of different print runs and releases in different countries. There are so many variations it is quite overwhelming and is seemingly an impossible task for a team collector like me unless I'd be willing to shell out big coin for an entire set and break it up. I love those recipe cards! I collect them, but I hardly ever buy singles. most of what I have comes from a couple big lots I bought. Two of them I found at the same antique show one was a shoebox full. Maybe 700 cards? The other was a couple hundred. They're a large and complicated set for sure. With probably more variations than that site shows. I'm not surprised you chose the Jackie Robinson card as a scan choice for your thread. With so few non-Topps cards produced of Mr. Robinson, we have to search far and wide for nicer cards. The Sportscaster card is a honey. Maybe they were produced in the mid-70s, now close to 40 years ago, but the photo is so evocative and nostalgic of his career in Brooklyn. The earliest date on this shot would be 1952. 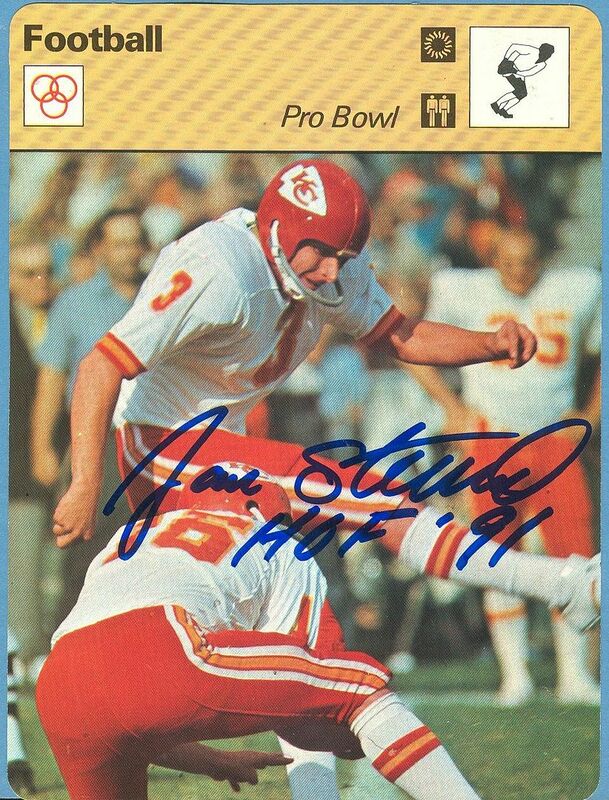 That year the home uniforms had a significant change--uniform numbers on the front were now in red rather than blue. The hobby maybe doesn't consider Sportscaster cards valuable, but as a Jackie Robinson fan the eye appeal of that pose with the Ebbets Field backdrop is PERFECT. For what it's worth, I think you made a great choice for a Dodger collection. From what I can see of the Sandy Koufax, that looks to be a killer image as well! Last edited by brian1961; 07-01-2014 at 11:42 AM. Here is Lou Brock. There may be a few other variations on the print line, but I got tired of trying to look for them. 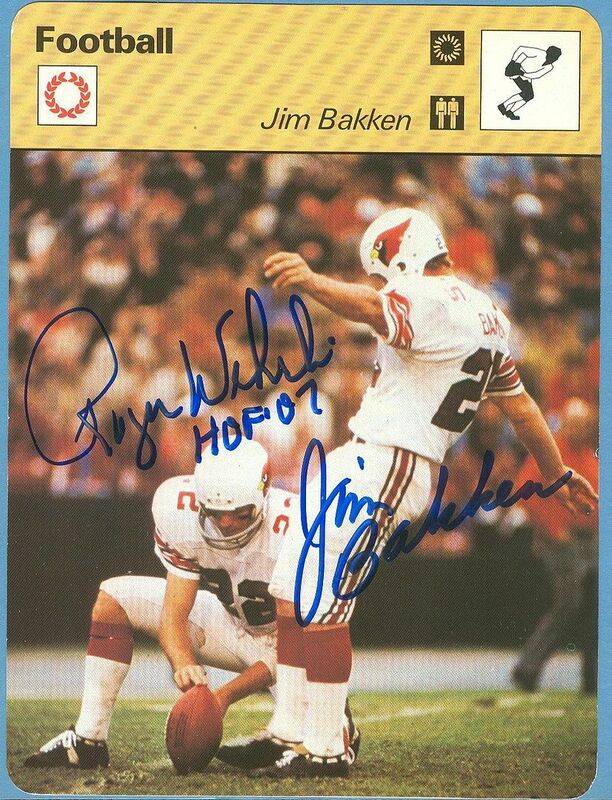 As a player collector I only have the Brooksie Sportscaster card, but I really like the picture/s used on the cards. I knew there were some variations, but never really took the time to search for different backs. Last edited by HRBAKER; 06-30-2014 at 07:03 PM. in buying one that is not chipped if anyone has an extra one. For the UK version I found some different players represented but I haven't been able to find a checklist to help me complete the set. Does anyone have a UK checklist? I have some from Finland and there certainly are more Finnish athletes. I can't seem to find checklists for any of the foreign sets. Can anyone help? Yeah, from what I read any cards from decks 100+ are considered high numbers and are more scarce because more and more people dropped their subscriptions as time went on. The only Dodger that fell into this category was the Snider 400-HR club card. The only other card I picked up from the set was the Bruce Lee card for my display case, it's the earliest released card of him that I'm aware of. 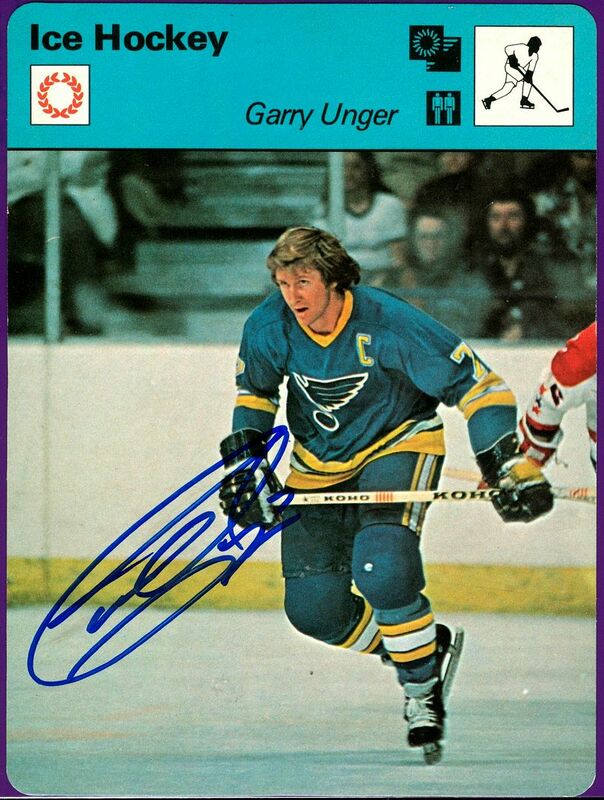 I have a whole bunch of Sportscaster cards i am looking to sell - all different sports, including many high #s ! I had an original subscription for them back in the late 1970's as a 9 year old. I remember them coming to my mail box once a month, I believe. Unfortunately, I was so young so I don't remember much more than that. Last edited by bcbgcbrcb; 02-17-2015 at 05:22 PM. There are numerous earlier Bruce Lee cards. Domestically there are the Green Hornet cards from the mid-1960s. There were also cards issued in Asia that predate the Sportscasters by a decade. I have exactly one...the "Affirned vs Alydar" card. There are many others I would like to have, but the size make it a bit of a challenge for me to store. I do like them though! He's a good pal to have. I know I have a few Brookie one's, but does anyone know how many different variations there are of his Sportscaster card/s? I've been working on a 'base' US set of these (at least one variation of every card in all 91 series) for a few years and I'm now only about a dozen or so cards away from completion. I also have a complete set of the index cards, Sportscaster Digests, and I believe all the triptychs. I've also been able to nab what I presume are promo cards from the initial mailings, a couple of Sportscaster medallions (these can be found for dirt cheap, by the way), and a storage display. It's been a really fun set to work on but I fear that going any further in terms of collecting variations may be difficult. Part of the problem with this set is that because there is so little info out there regarding the variations available even the most detail oriented collectors may not realize that they have a particular version or variation of a card, meaning that happens to be a feature which is neglected when selling and trading. Just hop onto ebay for some evidence of this--relatively few listings identify simple information such as the series and card number, let alone if they are a 'A, B, C' or 'Japan, Lausanne, Geneva' variation or if the card in the listing is from the US or UK set. Heck, some of the listings aren't even using the term 'Sportscaster', complicating matters even further. Can you tell me if there is a Digest that features Steve Garvey, either on the cover or inside? How many are there? I have a couple myself as well as some unopened packages. I presume that is how they were delivered and not someone repackaging them. Who is missing this Nadia Comaneci? If nobody "needs" it more, I would like to claim it. I have what I will call a casual collection of these. By that, I mean I am not actively trying to complete the series. I'd love to have a complete run, but have none of the big 3 and don't plan to plunk down the $$ it would take to get those or most of the higher series cards. I definitely favor the big 4 sports subjects featured, but do like the uniqueness of the variety of others sports featured. I probably have 400-500 of them that I got in one large purchase with the index cards & a few digest issues as well as a few unopened packs and singles that have come in over time. I don't believe I have that one, but will confirm. I don't need a dupe, that is for sure. If you don't have it and want it, please PM me your address. Nope, no pictures or mention of Garvey in any of the digests. There is coverage of Bill Gullickson, Jerry Reuss, Tug McGraw, Pete Rose's son (in two issues, no less), Ronald Reagan (also in two issues), and even Gary Coleman, but no Steve Garvey. I have Sportscaster Digests #1-21. #1 is dated May 10-June 7, 1979 with #21 dated November 23-December 20, 1980. If there are more digests (which I doubt) I've never seen them offered for sale. Thank you. As it turns out, I checked and do have that one. Maybe someone else could use it? Thanks for checking and I guess I am glad/relieved there isn't one after all, otherwise I'd NEED to have one. Domestically there are the Green Hornet cards from the mid-1960s. oooh, I forgot about that show. You just gave me a new target for my display case. I don't have a complete set yet, but I've been tracking variations for each series as a long-term project. I've found a lot so far in the different printings - A, B, C, blank. More when I complete sorting the lots that I purchased in the last few years. I just acquired over 300 of these babies to sell for a friend. I told him not to expect too much. Contact me if interested in any specific cards or the whole enchilada. I've been slowly but surely going through my collection of these, making upgrades to my set and putting aside the extras. By the time I'm finished I will likely have somewhere in the neighborhood of about 1000 or so extras, including the biggies (Gretzky, Magic, Bird), and most of them in good shape. Once I'm done I'll post here and see if anyone is interested in nabbing some of the extras, though the set upgrade process is going to take a while, perhaps until the summer. I just acquired a large lot of these and I am in the process of sorting them. As I sort, I have noticed some say printed in Italy and others Printed in Japan. Was wondering if building the sets does it make a difference to mix them? I have also noticed some number variations. Is there a way to know if any variations are rarer than others. If anyone has any clear Garvey variations they are willing to part with, please let me know. I have 2-3 different of each of the 2 cards he is featured on (his and the ASG card with Morgan), but there may be a few other versions out there i don't have. I know none of mine say printed in Japan, for example. What Number is Garvey? It will be easier for me to find him that way. Here are back scans of both cards. It all depends on what you mean by 'set'. Some likely will not care if they have a Japan or Italy card or whether they have the Lausanne or Geneva variation of a particular card or an 'A' or 'B' variation...but then again, some will. I just finished completing my set of 2184 cards in which are mixed all kinds of variations. I have enough of the variations available that I might consider building a master set but, of course, that's a toughie given that most cards sold online rarely feature the back of the card and that, of course, is what you need to see to determine which variation you have. As you might guess, the higher numbered series tend to be tougher to find...series 1-55 are the most readily available but also, in my experience, seem to be the series with the greatest number of variations. Series 80 and above tend to be the toughest but also appear to have the fewest number of variations. I hate to dredge up such an old thread, but I found a collection of these at an estate sale. Most of the packages are unopened, so I can only see the card on the front and back of each. Does anyone know of a listing somewhere that will tell me what cards are in each pack? Each pack has a slip of paper enclosed with information that will say something like "Sports Cards TM Control No. 03 005 87". I notice the last card in the pack will have the same control number at the bottom and be a -24. So I assume the packs go by these control numbers. Each pack has a mix of sports, so it's hard to guess what might be in any package in particular. Any experts out there for these cards? I'm hoping someone might have created an Excel spreadsheet with a list of the card numbers/pack listing. Along with the cards in packs, there were several Sportcaster Digest mini magazines. I have never seen these. They included No. 2, 4, 5, 6, 7, 8, 9, 13, and 15. Last edited by GasHouseGang; 06-01-2018 at 06:57 PM. Awesome find and I love to see old threads dredged up, especially if they are on interesting, yet more obscure subjects. One of the Almanacs/Big Books (Beckett or Krause) had them listed by series. I will take a look and see if I can find it. There are two guys on ebay who sell a ton of sportscasters maybe they can help. One is pepinski (he may have a number after his name if you can't find him let me know) and one is oddballsteve. It's an amazing and very complex group of cards, an absolute must for collectors of rookie cards in the non-major sports. Last edited by Peter_Spaeth; 06-01-2018 at 10:17 PM. Found it. Not sure if they continued to include the entire set, but they were through at least Almanac #5 (Beckett). It checklists them by series. The series number is the last number in the control number from your labels. For example, in my picture, it's series 21. The guide is extremely handy for determining who is inside those unopened packs. You have a small fortune there my friend!!! 78 has the Magic Johnson, 77 for Gretzky and 74 is the Bird packs, but most series above the mid 50s are listed higher $$. 103 is the last series they show, assuming that was it and the series died. If you are planning to part with any of them, I'd love a shot at 34 & 67. These contain the Steve Garvey cards. Actually, I believe I already have 67 as it should have Garvey on top, but would like 34 for sure. Most of the sets (but not all) are shown here. If you need any others, let me know and I can assist. I may be interested in Magic but if it's truly Mint you should consider grading it, as it's worth a few hundred as a 9 and who knows as a 10. Thanks for the link! That's what I was hoping to find. I may have to get some of these graded. Or would they be worth more unopened? Last edited by GasHouseGang; 06-02-2018 at 12:36 AM. There is always a market for unopened products, as the chance of something mint inside is very powerful. I think the larger size of these hurts them somewhat as some people just don't do anything outside of the 2.5 x 3.5 format, but there is a market for them all the same. I wonder if anyone is sitting on an entire set unopened? You have a significant start there, but filling in the holes at this point may be quite a challenge. I did notice that the link is missing information. I think each series has 24 cards, but they do not have all cards for each year listed. The full list is definitely in the Beckett Almanac. I thought the same thing at first, but there is a "more" button after they list the first 15, and the other 9 of that series are then listed.